First of all, we’d like to offer a belated Happy Birthday to the World Wide Web, which turned 26 yesterday. You’re closer to 30 than 20 now, so your hangovers will only get worse. 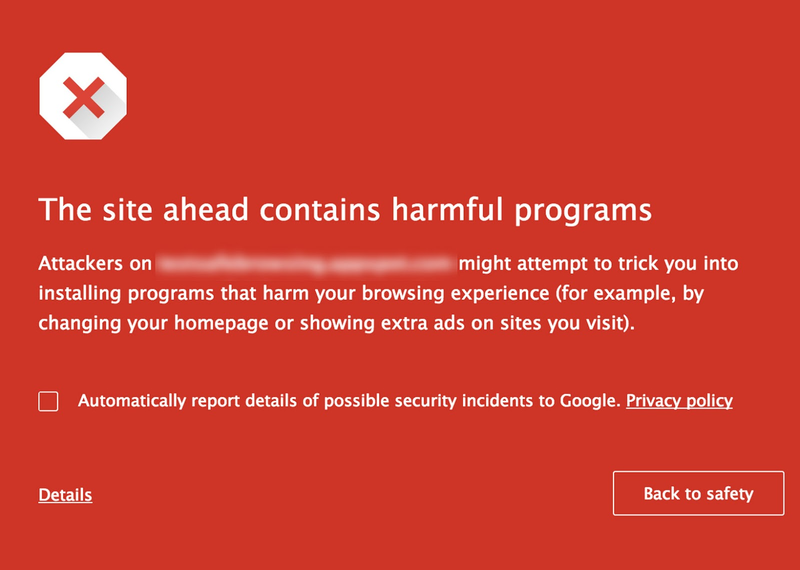 Second, to honor that milestone, Google announced updates to its Safe Browsing technology, including a warning when users are about to visit a site chockfull of unwanted software. The newest developments in its free Safe Browsing system has Google feeding security information into a broader browsing application that now works in Safari and Firefox browsers as well as Google’s own Chrome, reports the Associated Press (Microsoft’s Internet Explorer uses its own system called SmartScreen Filter). When there’s a risk that a user is about to enter a site distributing unwanted software — the kind that can change your browser’s settings and set loose a slew of pop-up ads or redirect users to sites they didn’t want to visit — a big red warning will pop up letting users know what they could be getting into. The company has started to identify ads that target users with unwanted software as well.